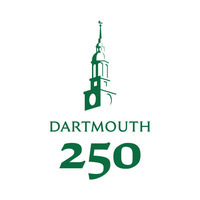 Dartmouth invites faculty, staff, and students to ring in the start of the College’s 250th anniversary year by attending one of the nine celebrations planned across campus. Watch live here starting at 4:25pm. To celebrate the official start of the College’s yearlong celebration of its 250th anniversary, Dartmouth will host several gatherings on campus. Each location will offer refreshments, music, and giveaways starting at 4 p.m. Remarks by President Philip J. Hanlon '77, Cheryl Bascomb ’82, Vice President of Alumni Relations, and Donald Pease, the Ted and Helen Geisel Third Century Professor in the Humanities, will be broadcast at each location beginning at 4:25 p.m. These remarks will also be livestreamed on the Dartmouth 250th website.